Sin Son Ho, DPRK’s Special Delegate to the United Nations at the United Nations in New York held an unexpected press conference last week last week in which he called for practical measures to be taken to thaw tensions on the Korean peninsula in a direction to improve relations and reconcile national unity on the peninsula. This very positive public rhetoric has left analysts guessing at it’s sincerity. Had this speech been given a year or two ago, analysts would be more optimistic than now. It is no secret that North Korea has the art of propaganda masterfully refined to a science, but what about their public diplomacy? With the sensationalism that occurs in mainstream media worldwide, coupled with North Korea’s untrustworthiness, the lines between fact and fiction are hard to decipher, but those who can do so are crucial to understanding this conflict. In the past six months North Korea detained American Citizen Merrill Newman for “atrocities during the war”, purged the Uncle of their own leader, been infuriated by South Korean President Park’s world “hate tour” against them and the US Congress’ passing of a nine million dollar information warfare budget to be spent against them. Not to mention the fact that the international community has condemned their “basketball diplomacy” campaign, largely due to Dennis Rodman’s idiotic mentions of detained American Kenneth Bae who is sentenced to fifteen years of hard labor for “subversion to overthrow the State” with “Operation Jericho”. To top it off, several slatternly journalists have created sensational stories such as the Unhasu Orchestra being machine-gunned to death, and Jang Sang Thaek’s execution being carried out by over a hundred starving dogs. This doesn’t help the credibility of western journalist anymore than it serves any positive purpose towards understanding why North Korea is the way it is and what it is really up to. To truly resolve the Korean conflict, the propagandists on all sides must learn how to report the facts and only the facts, communicate with transparency, and stop using information as warfare. North Korea’s main objective is eternal survival and maintenance of their regime. Their propaganda often serves as the gatekeeper to their survival, as their isolation and information is their greatest weapon.In North Korea, it is not Kim Jung Un who is running the country, but a man named Cho Yun Jun, who’s job title is “First Vice Director with Chain-of-Command Over Organizational Structures” ,which is the number one position in the Organization and Guidance Department (OGD), which is the regimes institutional power that was set up by President Kim Il Sung during the founding of the regime to be the guardian of the regime, and to that effect, of “the throne”. Jang Sang Thaeks purge was not a result of the flippant charges against him, which all North Korean’s are guilty of to some extent, but more of the result of the OGD using him as a pawn in their chess game to maintain state sovereignty after the failed 6.28 reform measures. They needed a scapegoat to push back the world against the thought that they were opening up. 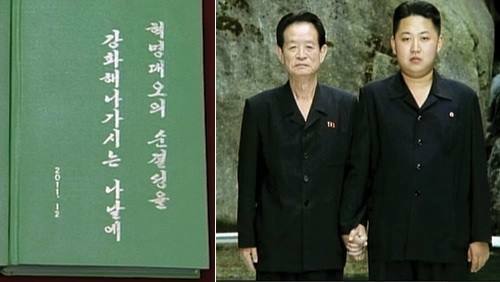 Kim Jong Un may have wanted to reform the state, with Jang’s help, and many North Korean’s would like to see that happen, but as long as the OGD remains in power, no reform is possible. Kim Jong Un is nothing more than a symbolic figurehead. North Korea’s speech to the world about wanting peace is nothing more than a PR move to distract the world from their growing uneasiness at the external and internal behaviors of people who want reform badly. The speech should not be taken at face value, but as a sign that the regime is losing control. Hence the underlying reason for Kim Jong Un’s New Year’s Address which was focused on “Single Minded Unity”, which was a stark contrast from last years speech which was focused on “Idealogical Changes in Thinking Towards Progress and Education”. This just goes to show the importance of understanding Public diplomacy and Propaganda in International Relations.